CARFAX One-Owner. Clean CARFAX. 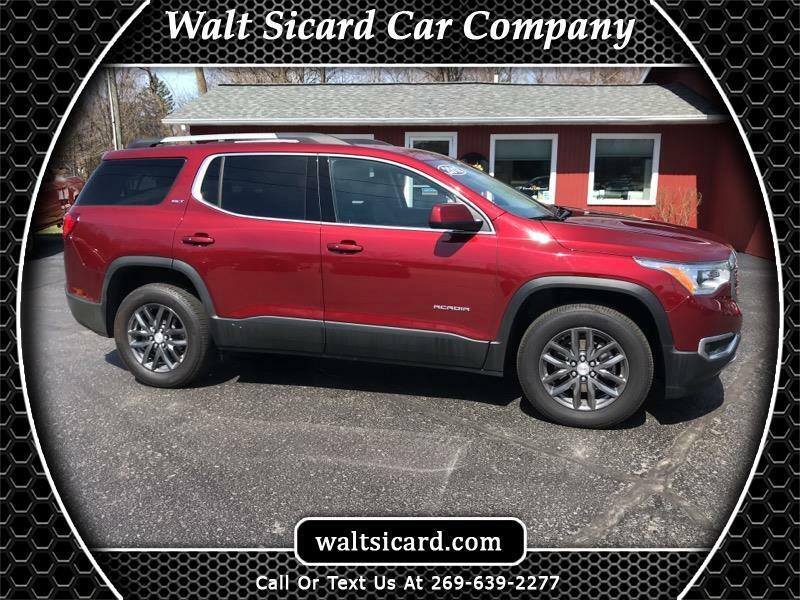 Crimson Red Tintcoat 2018 GMC Acadia SLT-1 AWD 6-Speed Automatic 3.6L V6 SIDI DOHC VVT 2018 GMC Acadia SLT-1 in Crimson Red Tintcoat, Sought After Options Include, **APPLE CAR PLAY**, AWD, Jet Black w/Perforated Leather-Appointed Seat Trim, 3rd row seats: split-bench, 6-Passenger (2-2-2 Seating Configuration), Blind spot sensor: Lane Change Alert with Side Blind Zone Alert warning, Exterior Parking Camera Rear, Four wheel independent suspension, Preferred Equipment Group 4SA.